Automata with a painted wooden base with visible mechanisms. 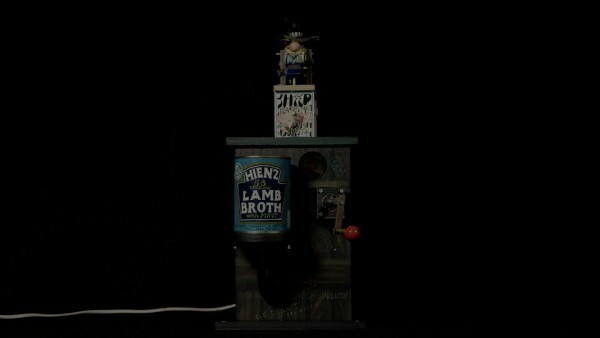 The wood and metal figures on the top depict a sheep decapitating a shearer. Sheep Shearing Man, Ron Fuller, 1992, Crafts Council Collection: W94. Sheep Shearing Man, Ron Fuller, 1992, Crafts Council Collection: W94. Film by Video in Common.